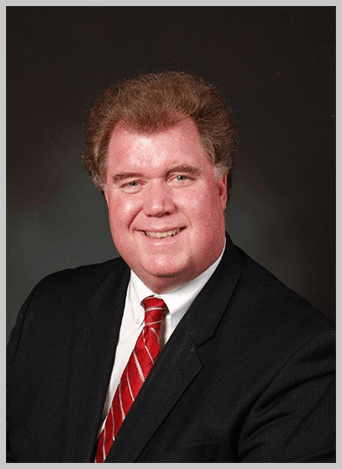 Irving Lawyer | J. Roland Jeter, P.C. Faithfully serving Irving, TX since 1978. Former Prosecutor & Municipal Judge. Why Choose J. Roland Jeter, P.C.? Click on the drawing which matches your legal issue or needs. Committed to serving the people of Irving since 1978, J. Roland Jeter, P.C. has established itself as the trusted law firm in the Dallas-Fort Worth metroplex. A lifelong resident of Irving, founding attorney Roland Jeter has nearly 40 years of extensive legal and trial experience. His entire career has been devoted to providing sound, straight-forward, and ethical legal counsel – and this is exactly what Roland Jeter has built his reputation upon. If you are in need of dependable legal guidance, contact J. Roland Jeter, P.C. at (972) 330-4050 and request a complimentary 30-minute consultation today. Born and raised in Irving, Texas, Roland Jeter comes from one of the city’s oldest families and is well-known for his involvement in local political, civic, and church organizations. Further establishing deep roots in the Irving community, Roland has had the privilege of working with many businesses and representing business owners in the Dallas-Fort Worth metroplex. Fully committed to the highest standards of competency, integrity, and proficiency, Mr. Jeter has been named as the Best Attorney in Irving for 2013 by the Greater Irving-Las Colinas Chamber of Commerce. He was the only attorney named that year. Due to his respected reputation within the community, many clients retain the firm through the referral of past happy clients and attorneys. The firm is located in the heart of Irving. Roland also serves individuals throughout Texas, including Las Colinas, Valley Ranch, Grapevine, Hurst, Bedford, and Arlington. Fully recognizing the life-changing nature of any type of legal matter, J. Roland Jeter, P.C. makes every effort to maintain an open, stress-free client environment. Mr. Jeter wants you to feel comfortable discussing your personal, business, or legal needs in a non-judgmental and completely objective setting. He remains accessible and available for phone calls or questions and keeps you informed of the progress of your case, step-by-step. He offers free, initial consultations where you will be informed of any legal fees and services so there are no unpleasant surprises at any point in the duration of your case. A written fee agreement is entered between the firm and client for every case accepted by us. The client is given a copy of the fee agreement as well as all other documents filed on their behalf. No agreement or settlement is finalized without the prior full knowledge and approval of the client." What sets J. Roland Jeter apart?